Adventures in Chili, Parte Dos! OK. 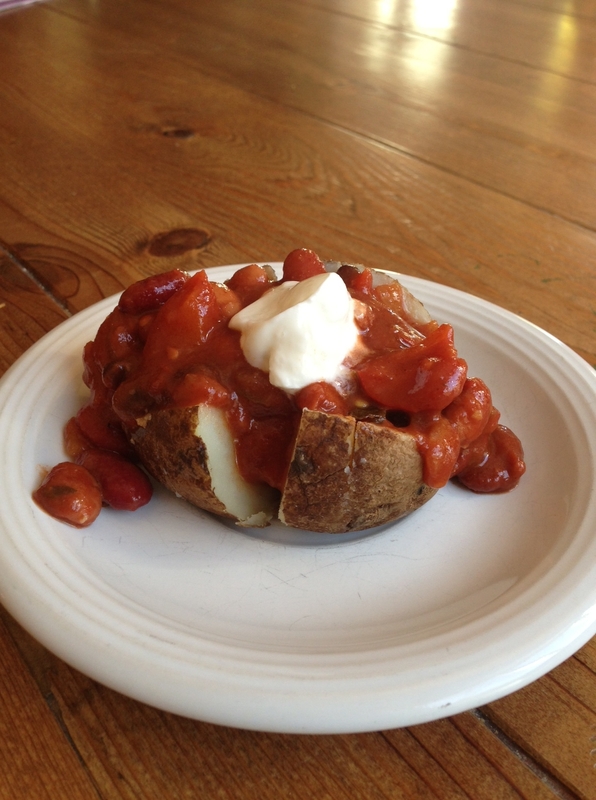 So here’s a chili option for all you gluten free guys and gals (or not, whatever): Chili on a baked potato! Yu-uhm. I like my tater-chili topped with a dollop of Greek style yogurt and a dash of hot sauce. One recipe for easy-peasy Chili and look at all the fun you can have! I know. You’re welcome. 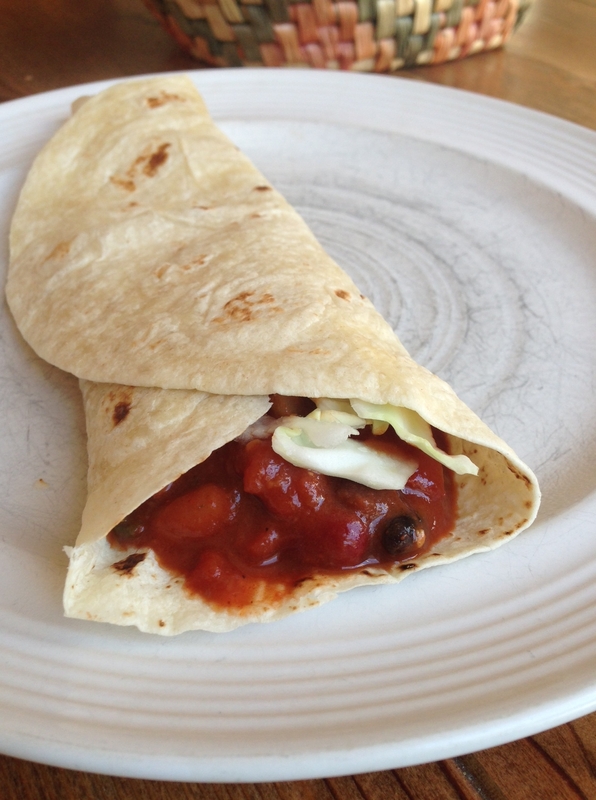 And, ladies and gentlemen, I’m still not done… but you’ll have to tune in Friday for my final cha-cha-chili post. On a side note and because I’m not done with my coffee yet so I may as well keep typing… I was once informed by a Texan that real chili doesn’t even have beans in it. Being of Latino-German heritage and growing up in Minnesota, I was unaware of this. So, if you’re from Houston and you’re reading this entry, please reserve judgement. Coffee complete. Have a great day everyone! Ingredients: 2 tbsp. olive oil, 1/2 med onion (diced), 1 clove crushed garlic, 2 med bell peppers (diced–approximately 1 1/2 cups), Two 15 oz. cans black beans (with liquid–don’t drain’em! ), One 15 oz. can diced, stewed or crushed tomatoes, One 6 oz. can tomato paste, 1 1/2 tsp. chili powder, salt and pepper to taste. Directions: Simmer onion (any kind will do,) garlic and olive oil for a few minutes. Add bell pepper and cook until peppers start to soften. Add everything else, stir and bring to a boil/simmer until peppers are fully cooked. You. Are. Done.